With England already out the tournament, home fans might be feeling flat but that shouldn’t detract from what has been a terrific World Cup. In these instances it’s best to get back on the horse – or puma in this case. To win games of rugby you generally need to be going forward either to score tries or win penalties. Metres gained is therefore a good proxy for performance. Adjusting for possession (you cannot gain metres if you don’t have the ball), New Zealand come out top. No shock there but close behind them in second are Argentina. Argentina are averaging 586 metres per game (possession adjusted) only 3 less than New Zealand. They haven’t been flattered by results either. They ran the All Blacks close for an hour and comfortably dispatched Georgia and Tonga. A quarter final against either France or Ireland is winnable with a possible semi-final against Australia on the horizon. Argentina shouldn’t be fazed by any of these matches and the experience of playing against the southern hemisphere powerhouses in the Rugby Championship should remove any ‘fear factor’. 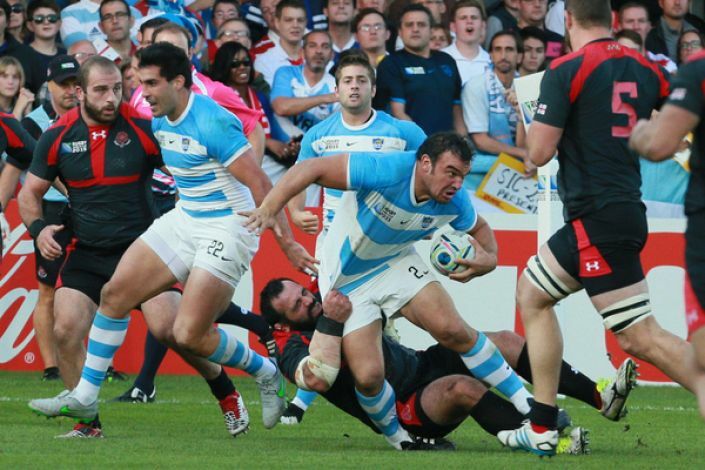 The underlying numbers suggest Argentina are the second best team in the Rugby World Cup so far. At 40/1 (BetVictor) they deserve backing in the outright market. Will get game time against weak opposition and Paddy Power giving away a £5 free bet for every try he scores. Place a minimum of £25 on the RWC top tryscorer market with Betfair Sportsbook and every World Cup group match in which your selection scores you get a £5 free bet.